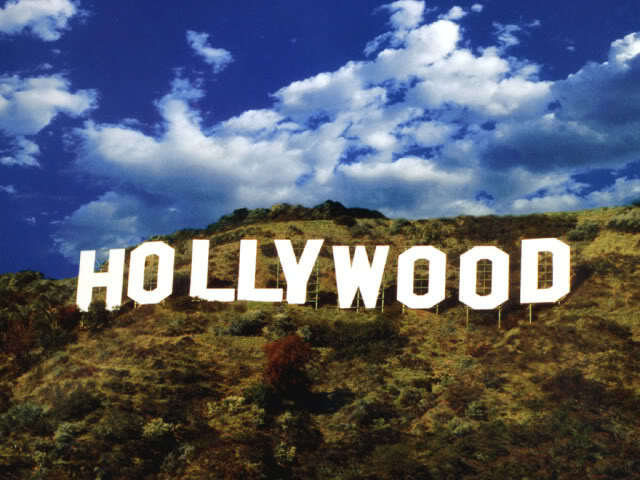 Three feature films have been filmed in the Row River Valley over the years. 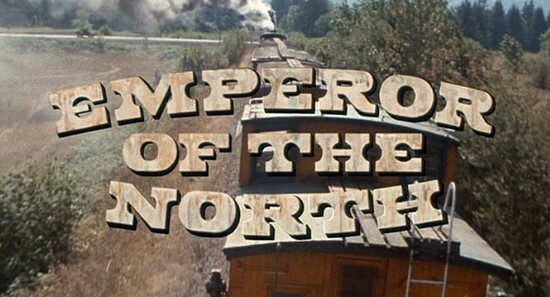 The first of these was Buster Keaton’s The General. 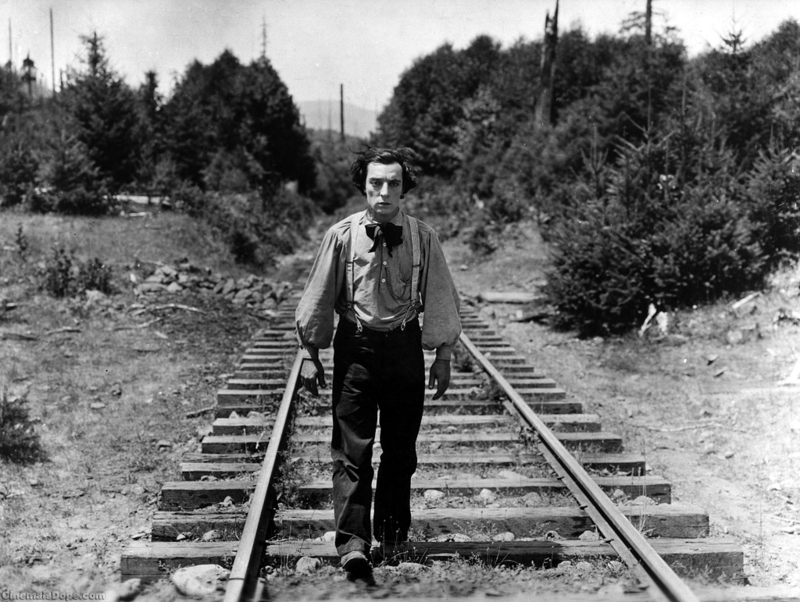 Filmed in 1926, The General was a Civil War Story and is considered Keaton’s greatest work. 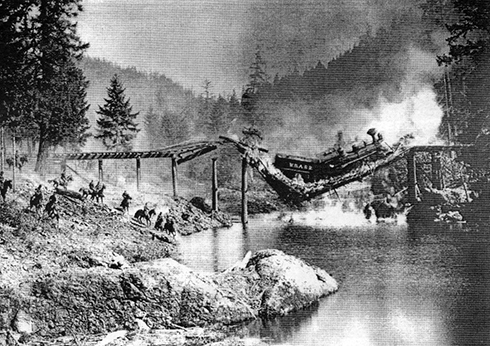 The scene in which a train falls from a burning trestle was filmed just above the old Bohemia Mill site. The engine was left in the river until World War II when it was sold for scrap. In the meantime valley residents enjoyed jumping off of it while swimming in the river. One story told about the filming was that Buster and company were avid baseball players. 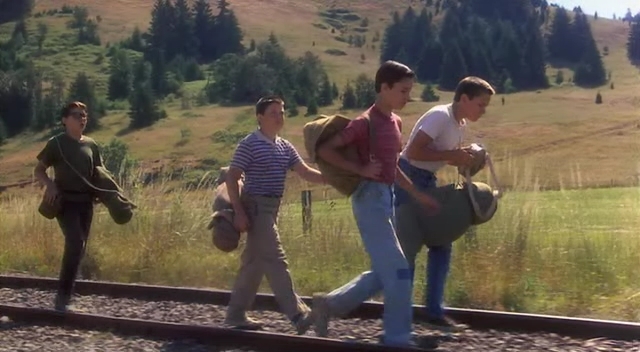 The cast and crew rode the train every day up to where they were filming in Culp Creek. They would stand on different flat cars and practice pitching and catching during the ride. Onlookers said they never dropped the ball. The Cottage Grove Historical Society put out a book called The Day Buster Smiled that is a compilation of newspaper articles about the filming. It is available at bookstores and museums around town. 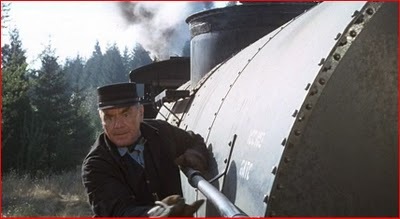 The Emperor of the North Pole starring Ernest Borgnine and Lee Marvin was filmed on the river in the summer of 1972. The film was directed by Robert Aldrich of The Dirty Dozen and Whatever Happened to Baby Jane? fame. 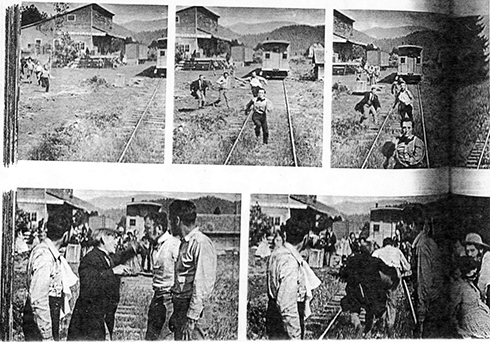 The film was about the conflict between hobos and railroad men in the depression. 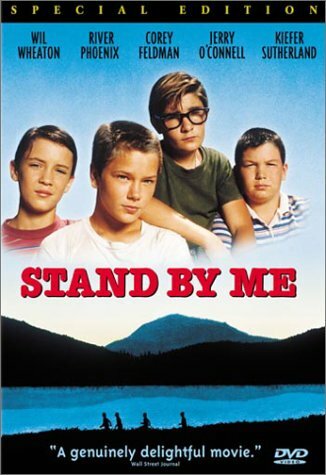 Stand By Me was a Rob Reiner adaptation of the Stephen King story The Body. The film was made in 1986 and a few of the scenes were done in the Row River Valley with the bulk of the film made on location in Brownsville.